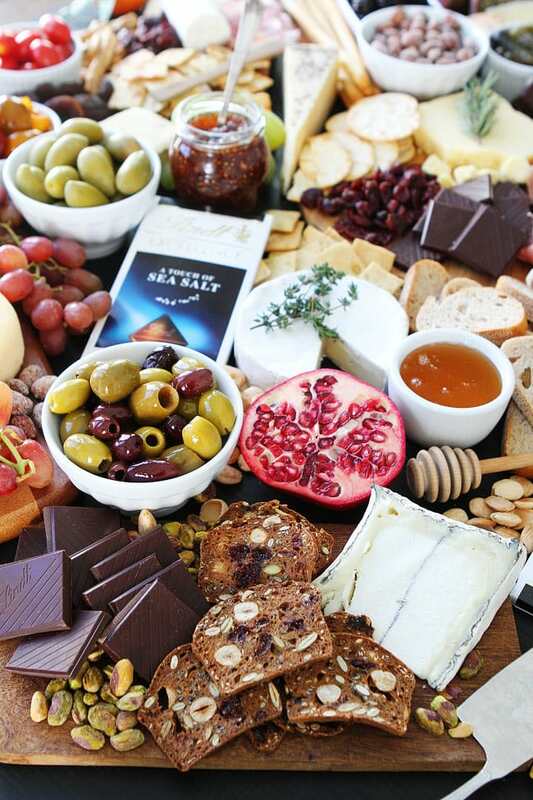 Cheese and Chocolate Board-this simple cheese and chocolate board is perfect for any party! Happy New Year! I hope you aren’t all partied out because the Golden Globes are on Sunday and that means it is party time! Today, I am sharing an epic Cheese and Chocolate Board that is sure to be the hit of any party. 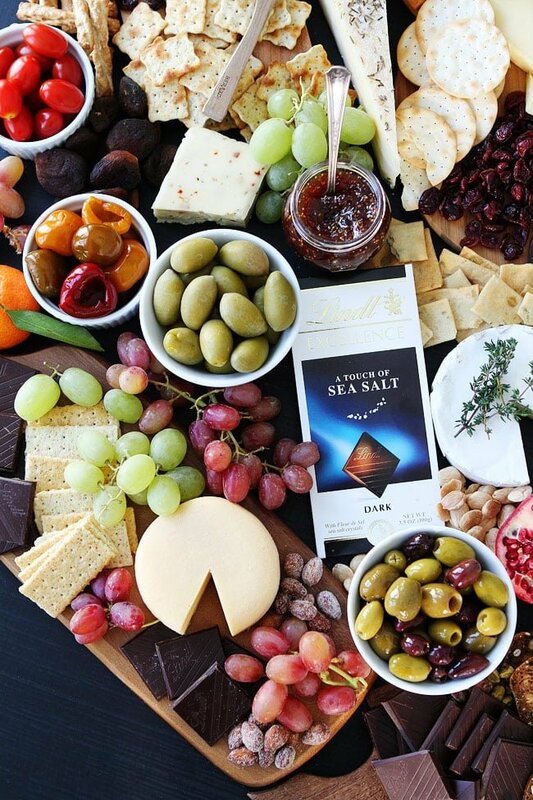 Everyone loves a good cheese board and this one is even better because it includes Lindt Chocolate. 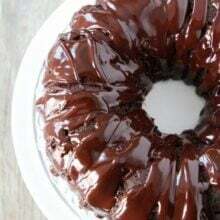 Cheese and chocolate, two of my favorite things in life! 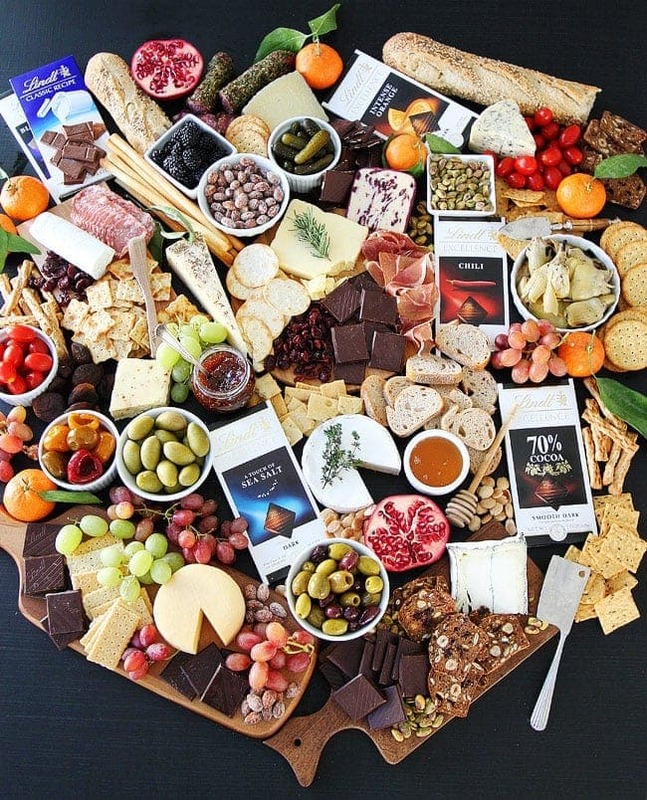 This Cheese and Chocolate Board is really simple to make and your guests will be amazed by the spread. I like to make a large spread to make sure there is something for everyone and I tend to get carried away. 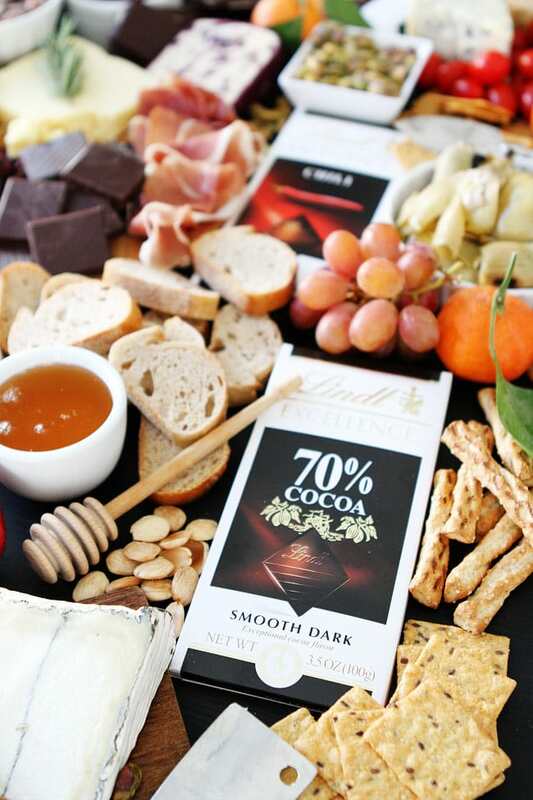 Cheese boards are so fun to put together, especially when you add in Lindt chocolate. The Cheese-include a variety of cheeses. I like to serve cheeses with different flavors and textures. I usually pick one from each of the following categories: soft, firm, aged, and blue. I also try to pick a cheese that people may have not tried before and a classic for the less adventurous. For this board, I used brie, blue cheese, goat cheese, Manchego, cranberry cheddar, aged gouda, Humboldt Fog, Grafton cheddar, Parmesan with rosemary, and Havarti cheese with herbs and spices. If you aren’t familiar with different cheeses, ask for help at the cheese counter. They are usually happy to help! 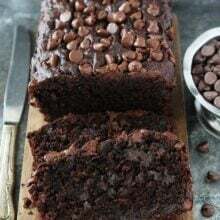 The Chocolate-make your board SWEET! I like to include a variety of chocolates so everyone can sample and find their favorite. I like to include milk, dark, and a few fun chocolates. For this board, I used Lindt EXCELLENCE with a Touch of Sea Salt, Lindt EXCELLENCE 70%, Lindt EXCELLENCE Chili, Lindt EXCELLENCE Intense Orange, Lindt EXCELLENCE Blackberry with Acai, and Lindt Classic Recipe Milk Chocolate. The EXCELLENCE dark chocolate bars are my favorite and they set the standard for the ultimate chocolate pleasure experience. When you savor the taste of EXCELLENCE, the thin, refined profile melts evenly to reveal complex layers of flavor, engaging all of your senses. EXCELLENCE bars really make this cheese board shine! 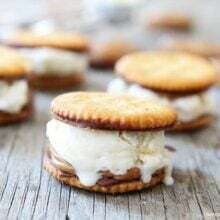 The Extras-now that you have your cheese and chocolate, it is time to throw in some fun extras. Include crackers in different shapes and sizes, sliced baguette, bread sticks, and pretzels. I like to serve gluten-free crackers just in case any of my guests have a gluten-free diet. I also like to add honey and preserves to go with the cheeses. 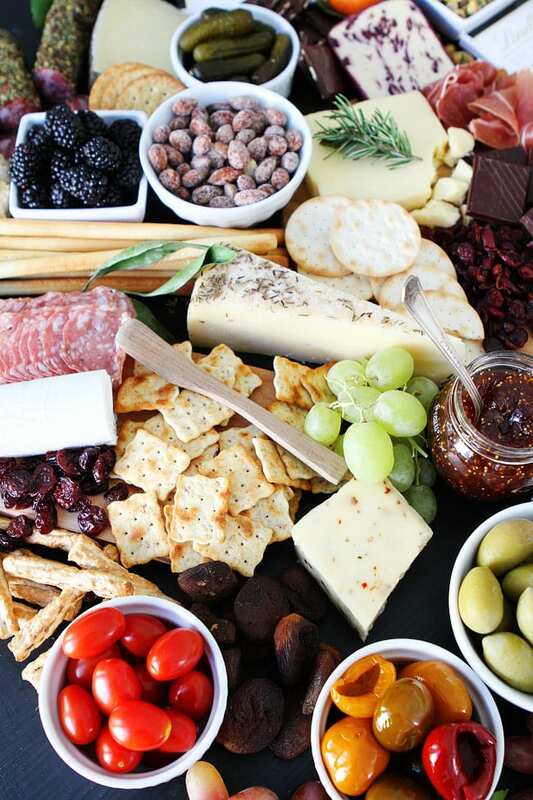 For extra snacking I add, nuts, olives, dried fruits, marinated artichokes, grapes, berries, roasted peppers, grapes, prosciutto, and salami. I like to make sure there is a variety of sweet, salty, and fun colors. How much?-I know this board is massive, but you can make a small cheese and chocolate board and it will still be a success. 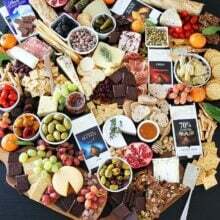 That is the glorious thing about cheese and chocolate boards, you can customize them to your party. You can go big or small. Four ounces of cheese and chocolate is a good estimate per person. This will allow everyone a chance to sample. 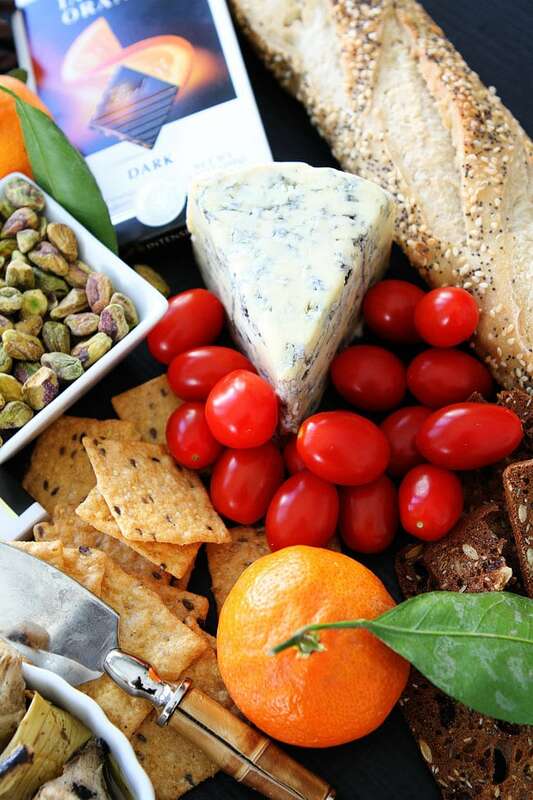 If you are on a budget, ask your guests to bring their favorite cheese, chocolate, or extra. This will help get your guests involved and take some of the pressure off of you. Boards-for the boards you can use cheese boards, cutting boards, plates, cake stands, or platters. If I am doing a big spread, I like to use a selection of wood cutting boards, marble boards, and different shapes of bowls and plates for the extras. 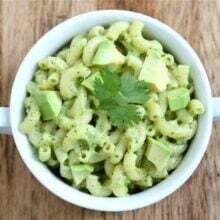 Go through your kitchen cabinets and find some fun dishes and boards. It is fun to mix and match pieces. Temperature-make sure you pull the cheese out of the refrigerator about 30-60 minutes before serving. You want it to be at room temperature. If you are worried about the cheese drying out, you can cover the cheese lightly with a towel or plastic wrap. Serving-when arranging the board, separate any really strong and stinky cheeses from the others so the odor doesn’t transfer to milder cheeses. Also, make sure you have knives set out for each cheese so your guests can easily cut the cheese. If you don’t have special cheese knives, simple butter knives will do. 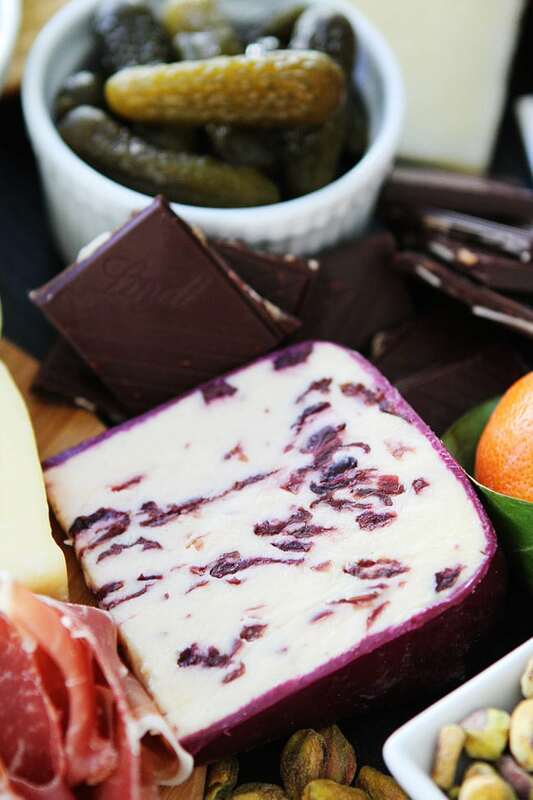 Labels-it is always a good idea to label the cheese and chocolate so your guests know what they are eating. I like to leave the Lindt packaging by the chocolate because they are so pretty. They add color to the board. Enjoy-put the cheese and chocolate board and enjoy the party! I love making an epic cheese and chocolate board because once I put it out, my work is done. I can relax, mingle, eat, and enjoy the party! I am all about stress free entertaining. And I love watching my guests pair their cheese and chocolates together with all of the extras. I love that everyone gets involved and creative. Oh, and the clean up is easy because the guests usually eat the entire board. YAY! 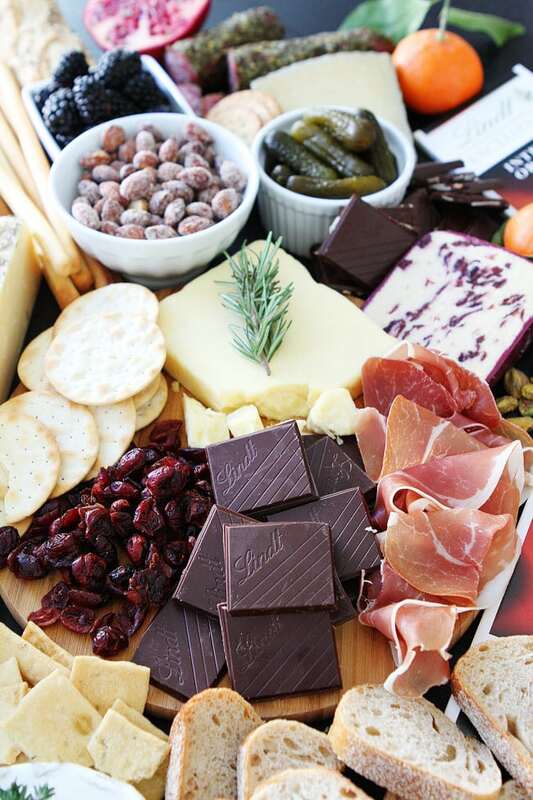 This Cheese and Chocolate Board is always a hit at parties! Your guests will love the savory AND sweet nibbles! And some fun news, I am going to LA again with Lindt Chocolate! Lindt is the Official Confection of the 74thAnnual Golden Globe Awards and I am super excited to celebrate the evening with the highest quality, best tasting chocolate from Lindt. 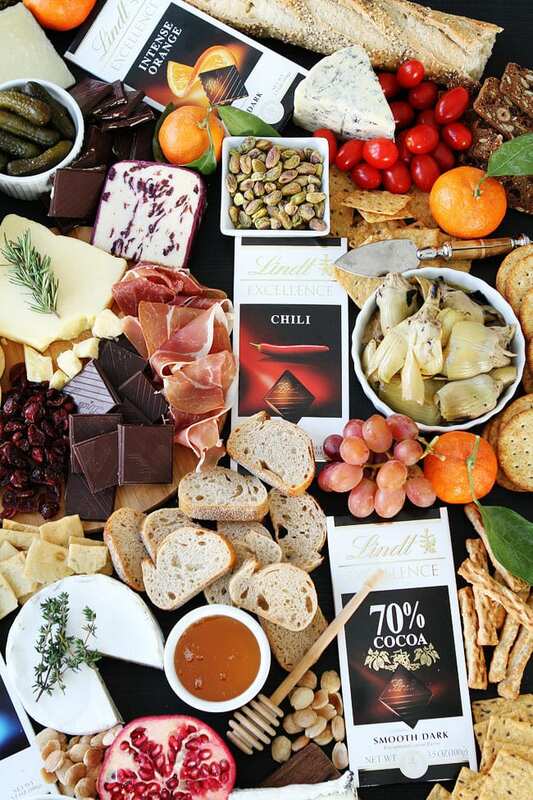 For the second year in a row, Lindt will delight the Golden Globes guests with a decadent chocolate experience. 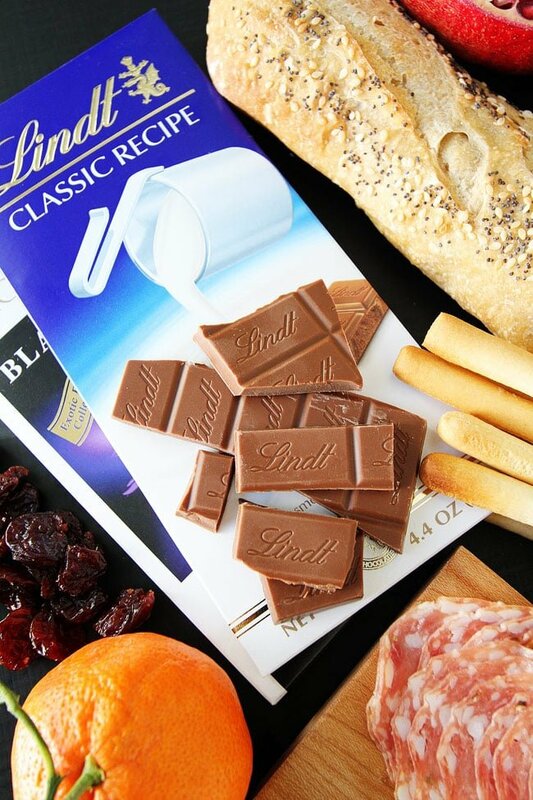 During the ceremony, attendees will enjoy a limited edition Lindt gift box presented on their place setting. At the Golden Globes lounge, stars will enjoy pralines imported from Switzerland and exquisite Lindt Truffle Pops hand-crafted with LINDOR. 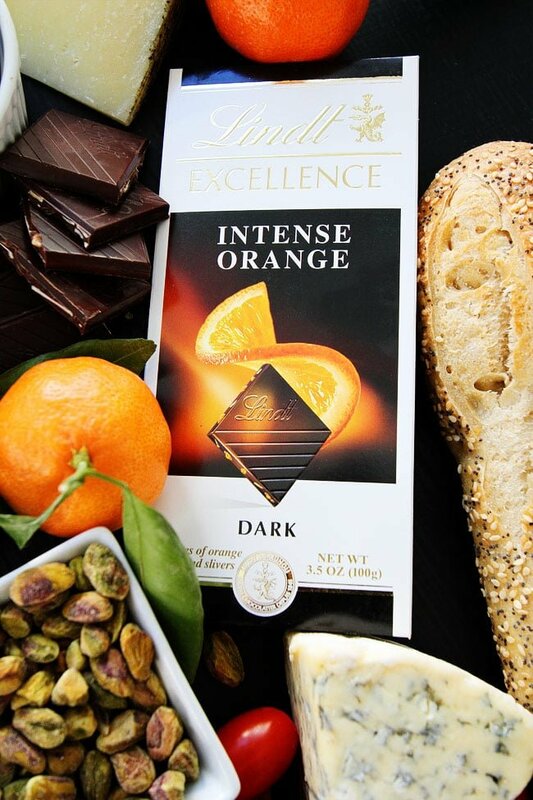 Lindt will continue the festivities as the Presenting Sponsor of the Weinstein Company Golden Globes After Party, and sweeten up the celebrations with chocolate from the sophisticated Lindt EXCELLENCE collection. During the awards, I will be hosting a LIVE Twitter party with @LindtChocolate and @Pizzazzerie. You can follow me on Twitter @twopeasandpod! We will be sharing tips for hosting SWEET parties! 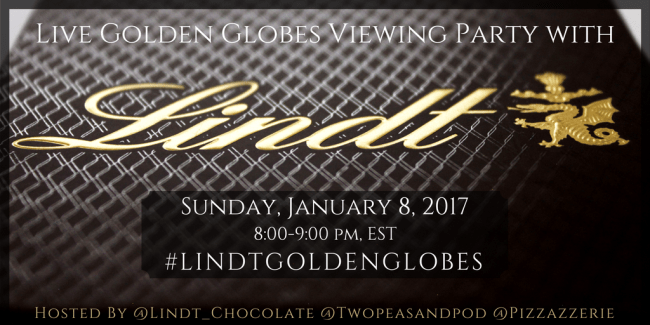 Make sure you follow along with the hashtag #LindtGoldenGlobes…and make sure you have your cheese and Lindt chocolate board close by so you can snack, tweet, and watch the show! Extras: crackers baguette slices, olives, dried fruits, prosciutto, salami, grapes, berries, roasted peppers, artichokes, honey, preserves, nuts, etc. 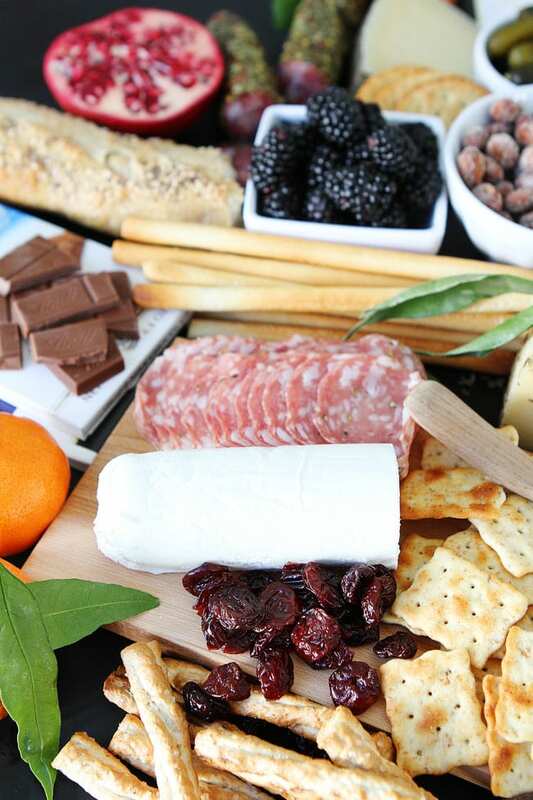 Arrange cheese, chocolate, and extras on a large board or platter (or several boards) and serve. Note-make sure you remove the cheese from the refrigerator 30-60 minutes before your guests arrive. What an amazing Cheese Board! I could so nibble on it all day. What a nice combination of flavors.I love Lindt Chocolate. The Intense Orange is my favorite! Damn, now I’m craving chocolate. I love the Intense Orange too! SO good! You must have had to get on a ladder to get that first opening shot. What a huge, beautiful cheese board! My friends tell me I make big cheese boards but I will just send them this link from now on! I hope you guys had a party after this shoot was over!! Thanks Averie! We had friends over to help us eat it all and it was a huge hit! hey girl- great post! The food looks amazing! Wow!! What a stunning board of fabulousness!! Is it weird I want to roll around in that? That wins for my all time favorite cheese board! This party board is so beautiful! I know how to plan my next one now but I am pretty sure it might not look as good as this one!